Questions of migration and citizenship are at the heart of global political debate with Brexit and the election of Donald Trump having ripple effects around the world. 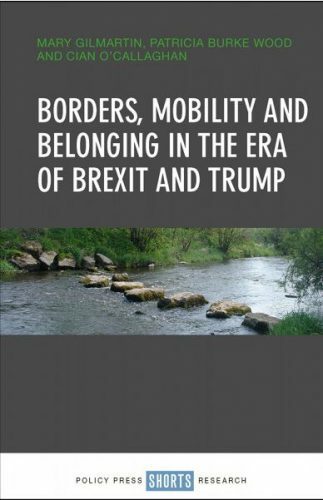 These questions form the central theme of a new book, Borders, Mobility and Belonging in the Era of Brexit and Trump, which has been co-authored by experts in geography including Assistant Professor in Geography, Dr. Cian O’Callaghan, along with Professor of Geography at Maynooth University, Mary Gilmartin and Professor of Geography at York University, Canada, Patricia Burke Wood. The book provides new insights into the politics of migration and citizenship in the UK and the US, and challenges the increasingly prevalent view of migration and migrants as threats and of formal citizenship as a necessary marker of belonging. Instead the authors offer an analysis of migration and citizenship in practice, as a counterpoint to simplistic discourses.